My Scrappy Shack: New goodies! I've had the pleasure to create with some fab products last week. First is the Mini Madness set (Vol 1) by Aimee Harrison Design Studios. It's a set of 12 minikits + 22 coordinating cardstock papers. 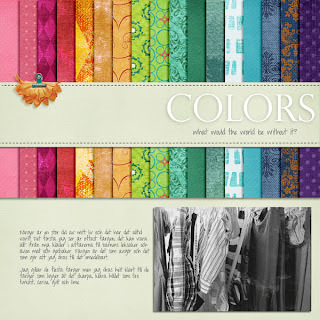 I've made two pages with it and this first is my new favourite page, I totally love colors! Terese at t for me design also have a new release called Bohemian Inspiration, a kit filled with bold colors and beautiful papers. 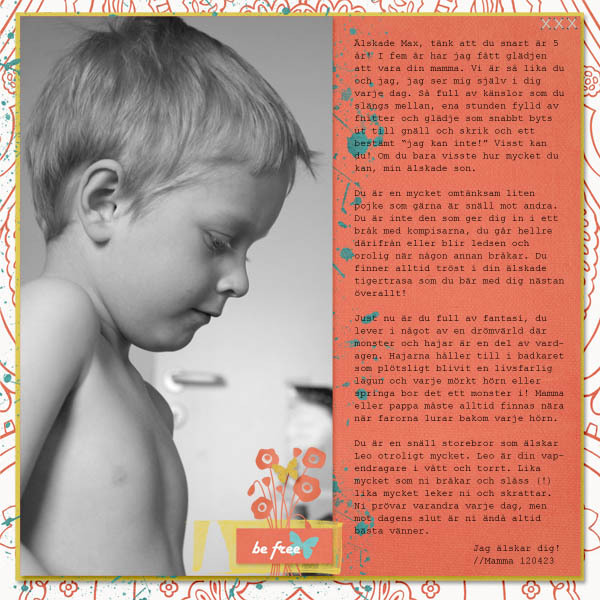 With this kit I made a page for my almost 5 year old son and I wrote him a letter about how he is right now. 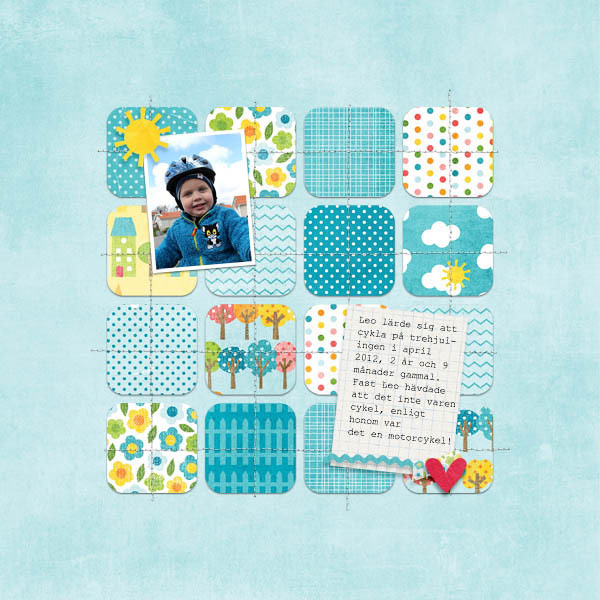 Last but not least is a new wonderful kit by Wishing Well Creations called Picket Fences. So fresh and colorful!